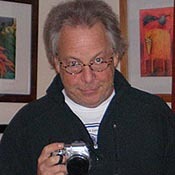 Kent St. John was GoNOMAD's Senior Travel Editor since the website was founded in 2000. During that time he circled the globe many times, visiting more than 80 countries. Sadly, he passed away on Thanksgiving Day in 2012. He had an appreciation of subtleties, always finding a way to capture the nuances and essences of a destination, whether he was whale-watching in Nova Scotia, riding the rails in Australia, bungee jumping in China or worshipping the sun on a beach in Brazil. Kent St. John presents a gallery of striking photos from his journey to northern Ethiopia. Page Two. Kent St. John presents a gallery of striking photos from his journey to northern Ethiopia. Kent St. John writes about the historical wonders and the vibrant nightlife in the City of Athens, and takes an excursion to the Island of Hydra. Sanssouci, Orangery, New Palace (Neues Palais) and Charlottenhof Castle: exploring and sleeping in the castles of northeastern Germany. Stunning photos of the Vermont countryside during the peak of fall foliage by GoNOMAD Senior Travel Editor Kent St. John. Photos of Montpelier, Sette, Anccey and Paris France.